Reporter meets photographer, they fall in love and live happily ever after right? Maybe. Things get a lot more complicated if the photographer is doing heroin. When the authors of this story met, they weren’t expecting to start a relationship. They took a chance and ended up in love, at least until a heroin addiction tore things apart. 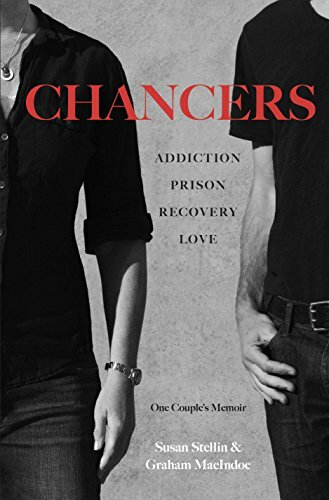 Written by Susan Stellin and Graham MacIndoe, “Chancers: Addiction, Prison, Recovery, Love: One Couple’s Memoir,” tells the story of its two authors’ romance, how MacIndoe’s drug addiction separated them and how they were brought together again in the most unlikely of ways. Alternating between the two authors’ perspectives, readers get a true and heart-wrenching portrayal of what addiction looks like and how it can destroy a person’s life. They follow MacIndoe and Stellin into the complicated world of the American criminal justice system and the even-more-horrific experience of trying to avoid deportation. With its two perspectives, this book provides a well-rounded and balanced account of the stories of both its authors. MacIndoe’s accounts give readers a deep look at how someone can go from being a well-regarded professional and homeowner, to being jailed and threatened with exile because of his addiction, to rising back up again. Meanwhile, Stellin’s narrative shows the trials of someone who cares for an addict and has to learn how to walk with him in recovery rather than try to make the path for him. Altogether, “Chancers” gives a raw, incredibly honest and well-written account of the pain of addiction and incarceration and the strain of trying to decide whether to stay with someone on his or her road to recovery. Yet despite the many heart-wrenching moments in this book, it is filled with hope, making the book that much more engaging. It can also be said that one of the best things about the story is that it brings awareness to the problems of addiction that ravage our world and reminds readers that those in such situations are still human beings who need help. “Chancers” was written through the combined efforts of Susan Stellin and Graham MacIndoe. Stellin is a reporter and author with a B.A. in political science from Stanford University. She often writes for The New York Times and authored “How to Travel Practically Anywhere,” a travel planning guide. You can learn more about Stellin on her site www.susanstellin.com. MacIndoe is a photographer and adjunct professor of photography at The New School’s Parsons School of Design. Originally from Scotland, MacIndoe studied painting in Edinburgh and earned his master’s degree in photography at the Royal College of Art in London. You can learn more about MacIndoe and see his photography on his site at www.grahammacindoe.com. Stellin and MacIndoe were awarded a fellowship from the Alicia Patterson Foundation in 2014 for their series “American Exile,” which documents the stories of families divided by deportation.